Thank you for considering the Railroad Crossing Corner to Corner (C2C) crochet graphs and instructions. 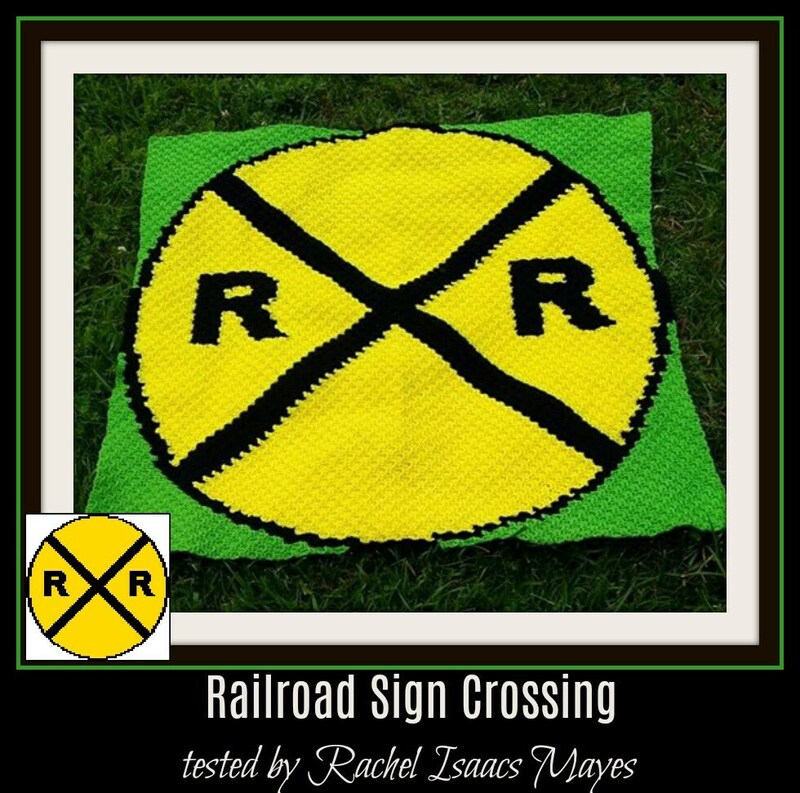 The Railroad Crossing afghan pattern will be delivered in a pdf format that includes a full size graph, a graph scaled down to print on one page, a color coded row by row word chart, a black and white word chart and basic instructions for the C2C. So whether you prefer to work from a graph or hate the counting and like it written out, this pattern has both. If you prefer working from the graph only, you can also order just the graph. The Railroad Crossing crochet pattern also has a page that gives additional measurements and yarn requirements for Sport or Baby #2 yarn using either hook F, G or H - Light Worsted Weight Yarn #3 using either hook F, G or H - Medium Worsted Weight Yarn #4 using either hook G, H or I so you can find the right size for you.